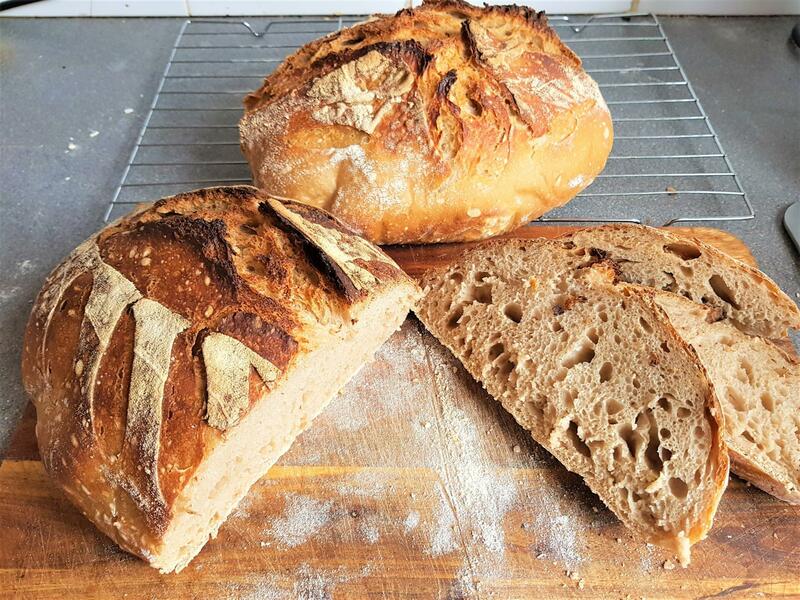 I'm from Leeds in West Yorkshire, UK and have enjoyed baking and eating bread for many years. I've only recently started baking sourdough and have to wonder why I hadn't started before. The photo below is what I started the leven for on Friday using a rye starter. I mixed up yesterday morning at 85% hydration and 80 % white bread flour/20% white rye and bulk fermented in the fridge for around 20hrs. This morning around 7am I removed it from the fridge to bring it up to temperature for 1hr then shaped and proved for around 1hr 30min. Baked for just over an hour in my cast iron caserole/dutch oven. Quite pleased with this one. I also love Italian bread, especially from Rome as I used to live there, and am striving to bake proper 'pizza bianca' in my home gas oven like we used to get in Rome . Welcome to the forum. You will learn lots here. Nice oven spring on youri bread!